The term “middle market” is increasingly becoming a buzzword across much of the small business community, from clubhouse conversations to professional services organization happy hours. To be classified as a “middle market” business today is considered a badge of honor for many founders and entrepreneurs because it increases the valuation of your company in the eyes of bankers, and potential buyers or investors. In fact, middle market companies achieve nearly a full turn of EBITDA (earnings before interest, tax, depreciation and amortization) higher on average in valuation multiples than their small to midsized counterparts. So what do middle market companies do to achieve the full valuation their company deserves? The answer is ... it depends on to whom you’re talking. Some organizations broadly classify the middle market as businesses with $250 million to $2 billion in annual revenue. Others, such as the National Center for the Middle Market, define it as companies with between $10 million and $1 billion in annual revenue. Neither definition is right or wrong, but that is because to be “middle market” is as much subjective as it is quantitative. So, as a corporate banker who partners with business owners on a daily basis, I’d like to offer up my definition of what a middle market business is and what they do to separate themselves from their small or midsized counterparts. Applying these same practices to your business can help you close any valuation gap that may exist between how you value your company and how a banker, buyer or investor analyzes and values your company. Ultimately, that higher valuation can mean lower cost credit, a better sale price or more favorable investment terms. Have you ever heard the old adage that the best way to get a read on what someone is like or the quality of their character is to look at their five closest associates or friends? The same adage applies to how outsiders (namely investors, lenders or potential buyers) assess businesses. But instead of looking at friends and colleagues, we look at whom that business has selected as their primary professional services providers (i.e., CPAs, attorneys, bankers, HR and payroll providers and insurance and benefits firms). 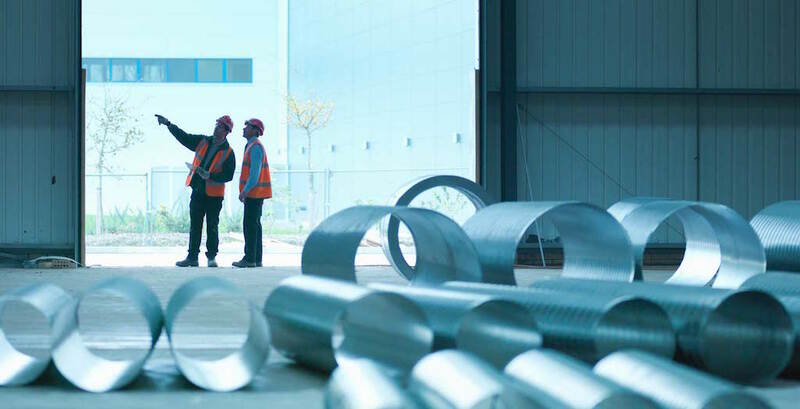 Put simply, a middle market business differentiates itself from being a small or midsized business by leveraging professional services that are more robust and/or cater to larger businesses. This is not to say that a $10 million revenue company should be using KPMG or Deloitte, but are they working with an accountant that deals often and frequently with larger businesses, or are they using the same CPA who completes the business owner’s personal tax returns each year? The point is simple — professional services firms that work and consult with larger companies will understand what their largest clients have done to be successful and will be able to apply that learning to provide more suggestion and partnership potential to a smaller business. If the business is the largest client for its service providers, it may get more customized attention for less money but fewer opportunities to learn from peers through shared partners. Middle market businesses recognize that service providers offer immediate value in advice and consultation, but they also realize that higher-quality service providers improve the soft components to their business’ valuation or credibility when looking to secure financing, sell or pass down a business. As a banker, I’ve helped numerous companies through mergers and acquisitions. It’s never a surprise to me when the companies that spend money up front on financial statement audits, retaining the right corporate counsel and developing solid relationships with their banks end up achieving the valuation they expect. Those middle market business owners see the up-front $50,000 annual cost of an audit as a long-term investment that helps improve valuation, while a commercial business owner may see an audit as a “thing my bank makes me do to get a loan every year.” This view is both flawed and shortsighted when you consider the potential value missed. Admittedly, this differentiator is very subjective. Think of structure in a business less as “does my business have rigid protocols and procedures?” and more as “can my business survive without [name any key employee]?” Broadly speaking, middle market businesses differentiate themselves by putting some form of management structure in place that is well known to the employees. This is important mostly for internal continuity of business, employee morale and clear delineation of decision making in key areas of the business. In the eyes of bankers, investors and potential buyers, a middle market business has clear, diagrammed management team responsibilities with delegated authority. The reason why a delegated structure is important is it helps to minimize “key man” risks. Unfortunately life is uncertain, and while a remote possibility that a key person does get struck by lightning or is suddenly incapacitated may be a tough question to tackle, decision-making authority delegated throughout the business is important to ensure business continuity if the unexpected happens. Structure in business evolves over time, usually as a result of growth, but often commercial businesses or closely held businesses are slow to evolve their business structure because owners try to control too many elements in their business. It’s ironic, but typically some of the best running businesses and corporations have very few everyday operating decisions made from the top. So perhaps the key for business owners to achieve middle market status and optimal valuations is ... for more insights on how to realize the true value of your business including references, download the report at texascapitalbank.com. HOW CAN WE HELP YOUR BUSINESS REALIZE ITS TRUE VALUE? 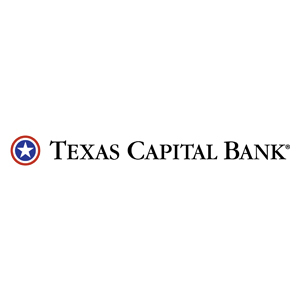 Texas Capital Bank sees valuation gaps as an opportunity to help companies optimize for the future. Our deeply experienced bankers are well-versed in the business practices that affect business valuations. Our bankers recognize that these changes don’t happen overnight, but they specialize in helping businesses achieve their full potential through a strategic consultative process. Plus, our network is your network; we’re always happy to connect our clients with contacts within our network with expertise on a particular topic, or who have overcome similar challenges.